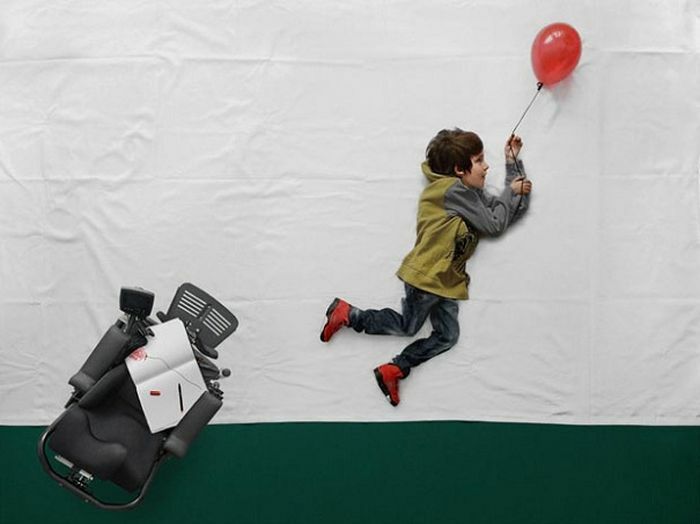 A 12-year-old boy Luca suffers from muscular dystrophy, a disease that over time makes his body weaker and weaker. 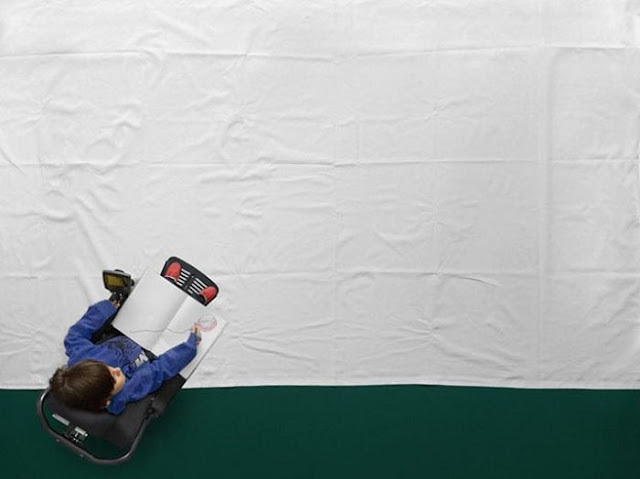 He can only move his fingers. 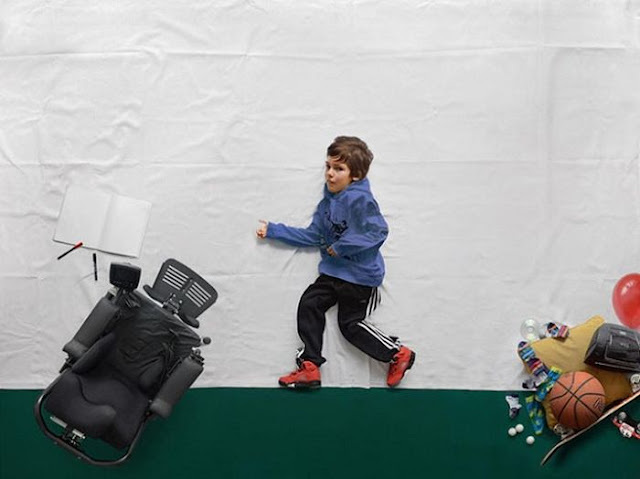 Luca’s physical incapability is not an obstacle for his wild and playful nature. 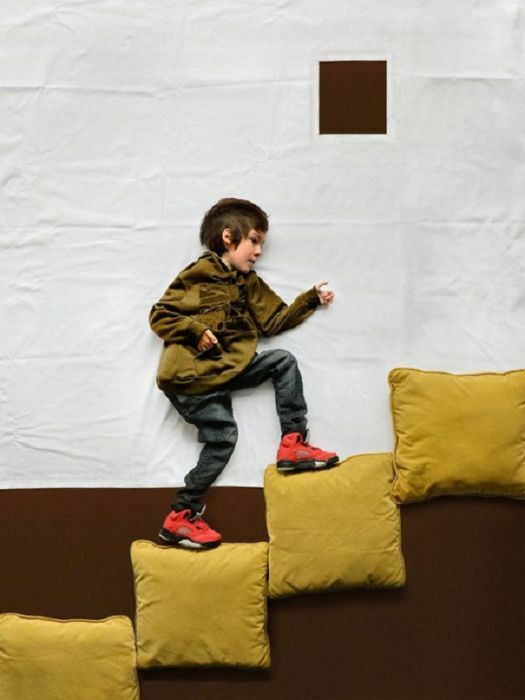 Slovenian photographer Matej Peljhan Matej created a heartwarming photo series called The Little Prince, where the star is Luca. 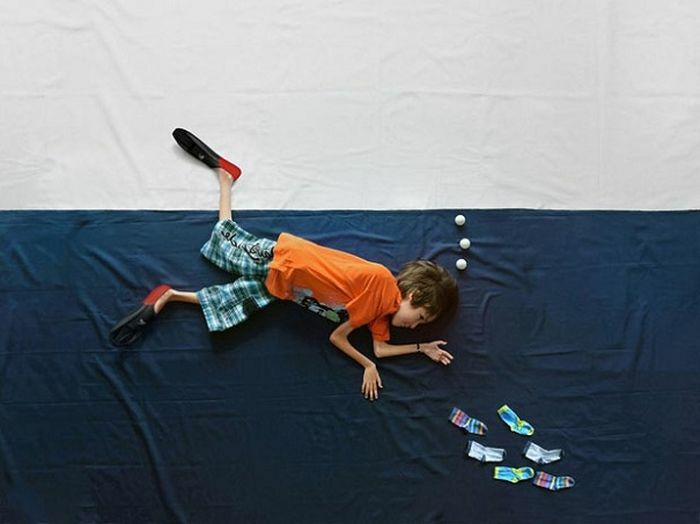 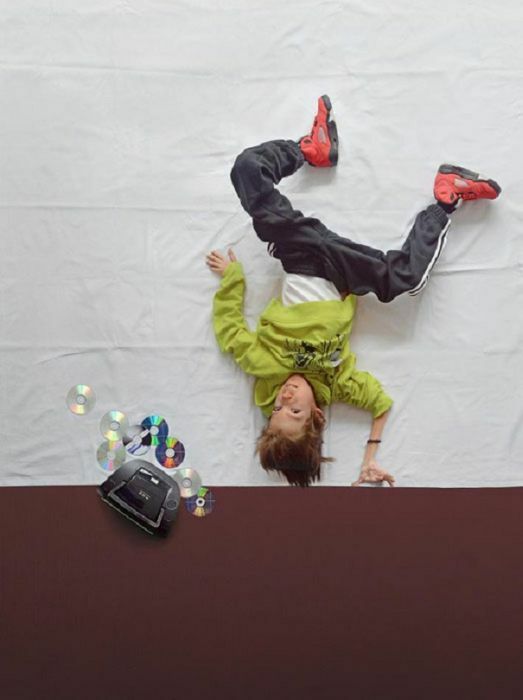 According to Luca’s wishes, the boy was photographed as if in motion, revealing his playfulness and a bit of mischief. 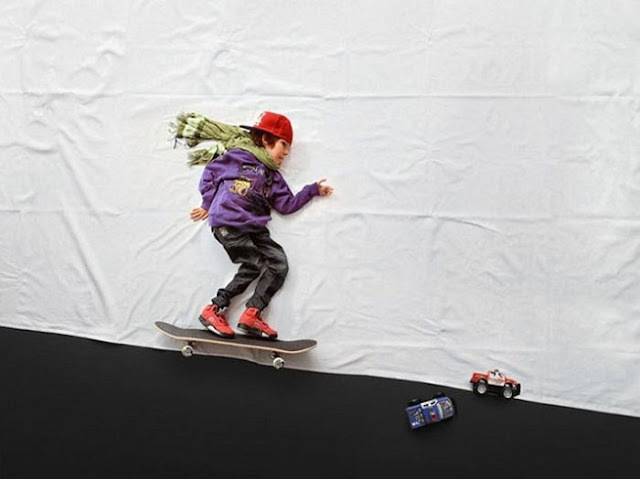 The photos were taken from above and modeled to look like the boy is riding on a skateboard, playing basketball, dancing, and even flying. 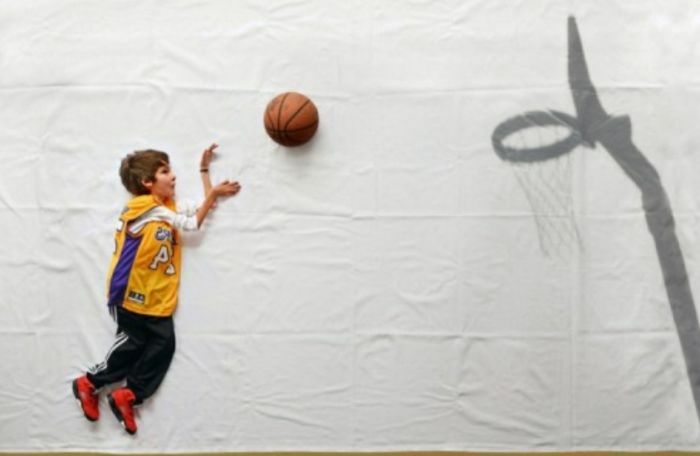 0 responses to "Little Boy’s Dreams Come True (8 pics)"